Many of you who have read my writing over the years know that I have an affinity for gadgets, and Apple products in particular. To be more accurate, I like tools we can use in our every day life. 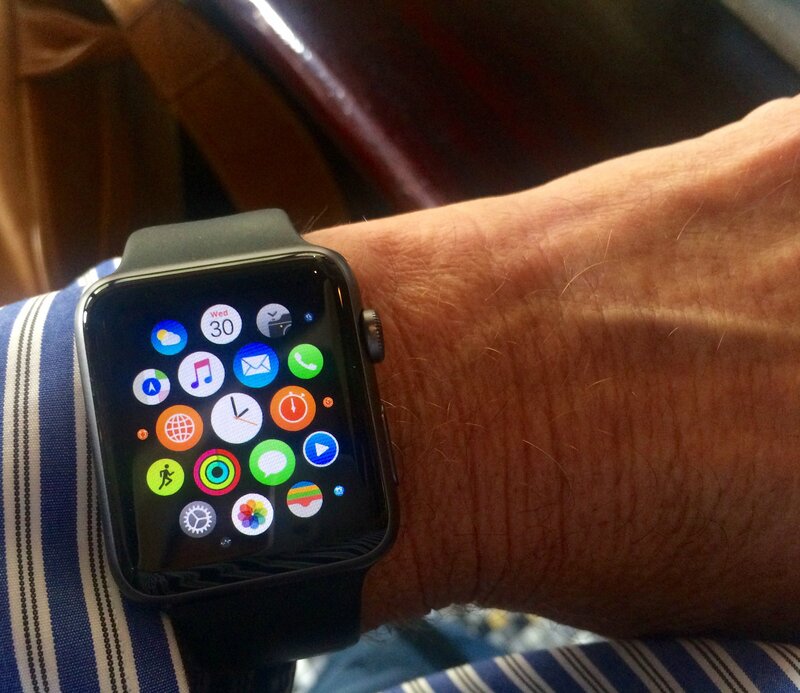 I am well known in my circle of friends for being an early adaptor of new technology and consequently everyone was quite surprised (as was I) when I did not jump on the Apple Watch bandwagon from the get go. For once in my life I decided to sit back and wait. As taken as I was with the technological aspects of the watch, I wasn’t sure that it really added to my productivity or enhanced my life relative to what I was already getting from iPhone. I don’t even wear a regular watch as I don’t like jewelry and it seems we are surrounded by time telling devices anyway. So I waited. I watched. I listened. 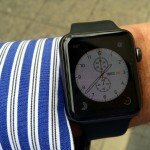 I regularly asked the people I knew with Apple watches what they really thought. Was there any buyers remorse? Were they happy with the purchase? Ecstatic? Remorseful? I finally decided to take the plunge. After some research I found that the lightest watch in the group (and there are a lot of choices), was the Sport model. As luck would have it, it is also the least expensive model. Normally the so called “bottom of the line” comes with a lot of compromises. 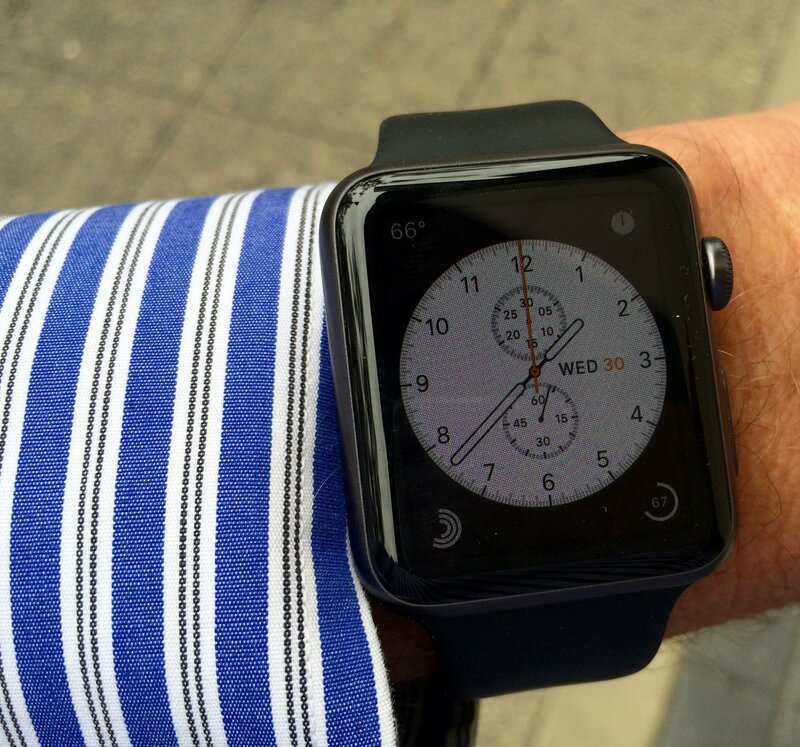 In the Apple Watch world, the compromise is all in the fashion end of things. The electronics of the product is exactly the same in the $399 Sport model or the $17,000 gold version. How does it look in the Sport version? I think it looks great. I bought the Space Gray (black IMHO) Sport. No muss, no fuss. The flouroelastomer band is superbly comfortable. The whole package is so light I barely know I have it on. My friend Wendell has the higher end link bracelet model and when we held them next to each other it was astonishing the difference in weight. He thought the heaviness made is feel “solid” and “substantial” and more “high end.” I on the other hand, loved the lightness. He wanted fashion, I wanted function. Different stokes for different folks. (One important note. You can easily swap out the bands in about 5 seconds. You can buy extras at either Apple or any of several vendors that are out there. I’m considering buying an after market leather band to wear on dressier occasions, for instance). Okay. So lets get down to the nitty gritty. What does it do? More importantly, what do I use it for? To start with, there is a bit of a learning curve. I find something new each day. It is typical Apple, a very sophisticated piece of technology wrapped in a beautiful, usable device that delivers a positive experience in the day to day world. Just like other technology, each person will use it differently so all I will talk about is myself. Others will have an entirely different experience. Not better or worse. Different. So how do I use it so far? Studies show that most people use only a few apps on their iPhones on a regular basis. I think this will be true of the Apple Watch also. Let’s look at a few of my uses after two weeks out in the wild. Let’s get this out of the way. It tells time. Whoopee. It tells it very, very accurately and I guess that is nice. I’d likely buy it if it didn’t tell time but I have to admit, I look at it for the purpose of seeing what time it is way more than I ever thought I would. So that’s that. The watch face itself can be changed to several different styles, and most of the styles are quite customizable. I keep switching back and forth but am sure one of these days I will settle in on one of them. The one I am using today is called “Utility.” It looks like a regular watch but I have it set to display the activity, temperature and battery life “complications.” I don’t know where Apple came up with that term but basically they are each functions the watch can handle and if you want, you can put a good number of them on your screen at the same screen as the watch. Tapping on any of them takes you to a full screen version. At the end of the day, I am enjoying wearing a watch again. It is great to have these tidbits of information available at a glance. Another way I use it daily is the Activity function. I try to stay as fit as possible and find having a live scorecard on my person is a good way to keep me doing the right things. For my purposes, the Apple Watch is great at this. My guess is that for a more serious athlete like my crazy niece Whitney, (she is an Ironman! ), a dedicated device will be a better fit. For me, though, the watch is great. For one thing, it doesn’t count phony steps. you need to be putting some oomph into your steps to get credit and burn calories. Based on your preset goals it measures walking, minutes of reasonably robust activity, calories burned, and reminds you (and records if you do or don’t) the number of hours you got up and at least moved around. It reminds you to do this every hour and has a preset goal of getting you to do this 12 separate hours of the day. It displays ll four of your results in a single rainbow like circle of circles, each color being one of the four activities. You can quickly glance at the icon and tell where you are for the day. As an aside, the watch is also measuring your heart rate all day long, every ten minutes I believe, and sending it to your phone. All of this activity is synced with the more robust Health and Activity apps on your phone where you are able get long term reporting if you like (I do). There are also a myriad of third party apps that sync with the Apple health app. I think these areas of health and activity will get a lot of attention from third party vendors. For more serious workouts there is a Workout app on the phone. I’ve only used it a couple of time but it looks to have a lot of promise. To be honest, I am surprised at how much I am using this. It is quite easy to initiate a text, especially to a core group of friends you are able to designate. It is all done with either preselected stock phrases or with dictation. The dictation isn’t perfect but it is much improved. I haven’t figured out a way to correct errors so there is that. (You have to cancel and start over). Another option is to send it as an audible recording but I haven’t used that feature so won’t offer an opinion. In a nutshell, it has not replace texting on my iPhone or my laptop, but I guess I’d say it has augmented it. It is much easier to give a quick reply by simply raising your wrist up and talking and it is really easy when it is one of the pre-selected rejoinders like “OK.” It is nice to not dig your phone out every time it vibrates with a new message. The Apple Watch can be set to vibrate on your wrist letting you know you have a new incoming text. Other things I think I will like down the line. 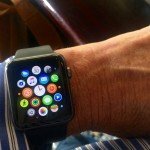 Speaking of not digging your phone out, there are a number of things you can do with the watch to “run” your iPhone apps without taking the phone out. I’m not doing a lot of this yet but suspect I will as time goes by. You can listen to music and control it from the watch. you can browse your emails to see if you need to respond to any of them. You can remotely run your camera (yes you have to take it out lol). Want a picture of two of you? Set the camera up and then walk into the picture and press the “take” button or use the 3 second delay, on the watch. It works great. You can also very easily raise your wrist to your ear and listen to voicemails. Handy. I have not yet tried making a call! Of course there is Siri. Ask away. She is new and improved. Apple Pay is another thing I haven’t tried and am not sure if I will. Perhaps. Evernote, weather, Instagram, Wunderlist or Things, timers, your photos, banking, calendars and of course, stocks. Choose your poison. My son asked me “What’s the killer app?” Well, for me, there isn’t one yet to be honest. It is sort of an incremental improvement of a lot of things I am already doing albeit in a more efficient manner. Compelling? I’m not sure, but I can honestly say I would do it again. It has been two weeks and I am reaching the “crap, I forgot to put my watch on and I need to go back and get it” stage. A few things come to mind. Apple just released a new Watch OS and it had several new features in it. The most significant by far is that they have opened the OS up to developers to create native apps. 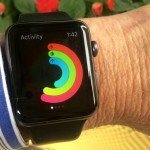 This means outsiders will be able to create apps that reside on the watch itself, separate from the iPhone. They will be able to use many OS features such as the Force Touch and Time Travel. Apple won’t really admit it but they sort of stumbled into the app business with the original iPhone. It not only became a great source of revenue, it spawned incredible innovation on the iPhone itself. 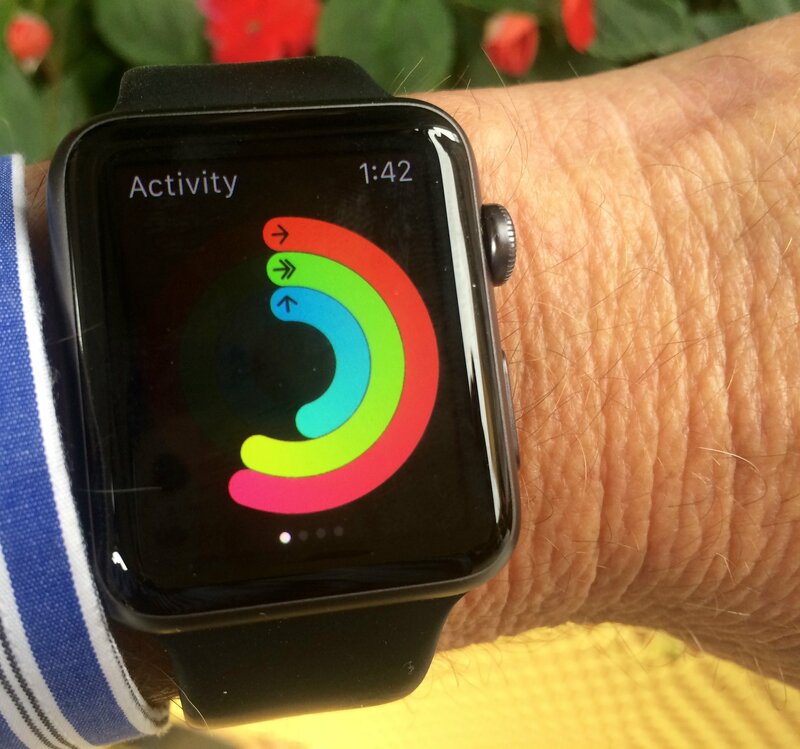 I expect some version of that story will be spun by the Apple Watch app community. As for nursing, I am sure the medical apps will show up shortly. Whether this is appropriate for the workplace is a whole different discussion. Some facilities are “jewelry free” environments and some are not. For a travel nurse, however, I think this is a tremendous tool. The communications, maps, all variety of little tools….they very much lend themselves to someone living in a new environment. Take a look and see if it is for you. That’s it for now. I am very pleased, not quite “over the moon.” I wouldn’t take it back. I am anxious to see what the developer community comes up with. With a new OS every so often and a few interchangeable bands you can have a new watch on a regular basis. Oh, how I love technology!